Brotherhood of the Cross and Star is a global divine institution. It teaches and practices universal love, peace, unity, truth, and righteousness in the Holy Spirit. 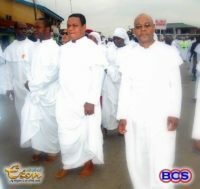 The World Headquarters (WHQ) of Brotherhood of the Cross and Star situates at 34 Ambo Street Calabar, Nigeria. Brotherhood of the Cross and Star was registered as a corporate body with the Federal Republic of Nigeria on 25th day of March 1964. 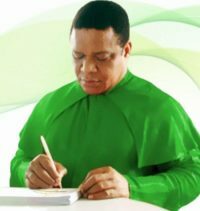 Brotherhood of the Cross and Star is the proverbial biblical mustard seed, whose insignificant genesis in Biakpan land, a backwater village in the remotest area of the present Cross River State of Nigeria has metamorphosed into a universal movement with spiritual magnitude made possible by the charismatic personality, purposefulness and truthful consistency of its Founder and Leader, Olumba Olumba Obu. The name “Brotherhood” means Love, Truth, Good manner, Mercy, Patience, Humility, Meekness, Unity as well as oneness of God’s creations. It is neither a political party, secret society nor anything of this world. It is the New Kingdom of God instituted and governed by God Himself. The Brotherhood of the Cross and Star upholds the doctrine of mutual dependence that binds everything created and uncreated together. It is the assemblage of the true children of God who have been redeemed by God through the sinless blood of Our Lord Jesus Christ.